Compared to urban areas of similar size, it has a low crime rate, short commute to work, lower than average cost of living, highly educated workforce and a relatively high median household income. Those factors combined with a strong local economy persuaded NerdWallet to rank Minneapolis and St. Paul as the third and fourth best places to live in 2014. Minneapolis was recently ranked a top city for female entrepreneurs for its organizations like Women Entrepreneurs of Minnesota and VentureWomen. The state’s Small Business Investment Credit program encourages emerging small businesses. Ecolab, a water management, hygiene and food safety company in St. Paul, is earning a global reputation as environmental problem solver. Minneapolis St. Paul Regional Economic Development Partnership. News and events in high-tech and early stage ventures. COCO, a Google for Entrepreneurs hub with four Twin Cities locations. Target + Techstars. An accelerator focused on bringing new technology and products to retail. Biotech incubator that partners with Mayo Clinic. Business Enterprise Center. Biotechnology, clean technology, IT, electronics, manufacturing technology, and consumer products. Xcel Energy Center, a hockey arena with concerts and events. Walker Art Center, a multidisciplinary contemporary art centerin Minneapolis. First Avenue and 7th St Entry, a downtown Minneapolis nightclub that’s been a stepping stone for musicians like Joe Cocker, U2, Eminem, Tina Turner, Bo Diddly and Prince. Minnehaha Park, a city park on the banks of the Mississippi River with Minnehaha Falls and a national scenic byway. 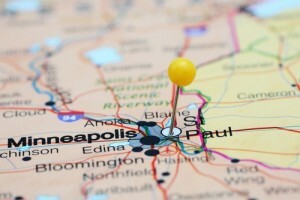 Your business can seem more approachable by selecting a local phone number in the 612 or 651 area codes that serve the Twin Cities. With Halloo you can route calls to your employees anywhere. Get your local phone number today!